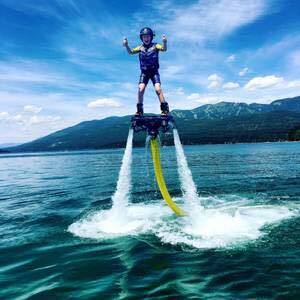 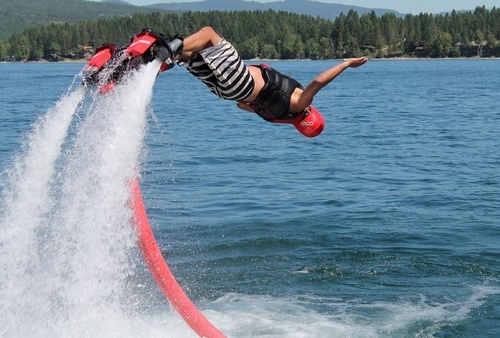 Flyboard® is at the cutting edge of extreme water sports and one of the most popular tourist attractions on Whitefish Lake, in Flathead Valley. 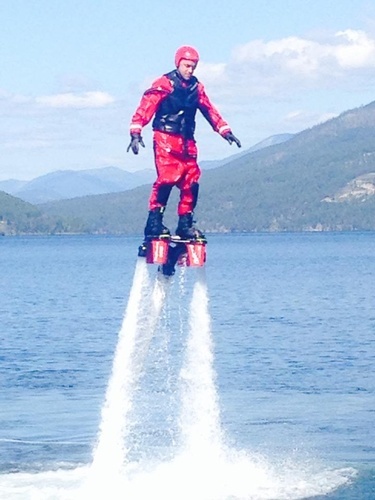 Find your balance with this water powered board and you will be flying through the air like Iron Man or swimming like a dolphin in no time. 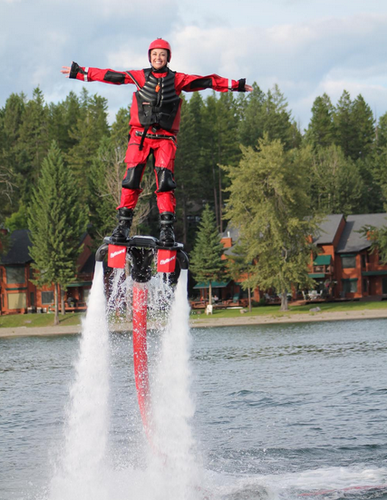 The intuitiveness of the Flyboard®, along with the assistance of an instructor, has most people flying high in under 10 minutes. 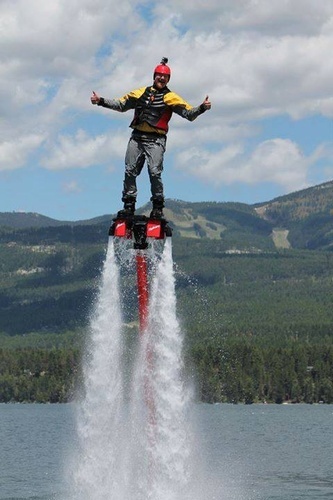 Flyboard® is for everybody, so come and experience Flyboard® for yourself today! 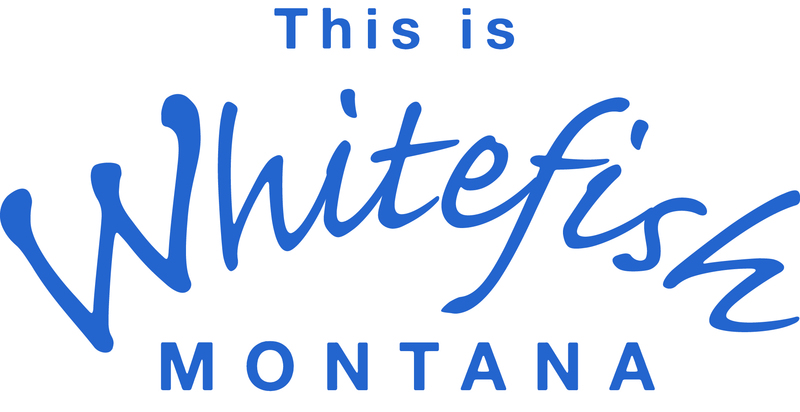 Call or e-mail with age and size requirements.